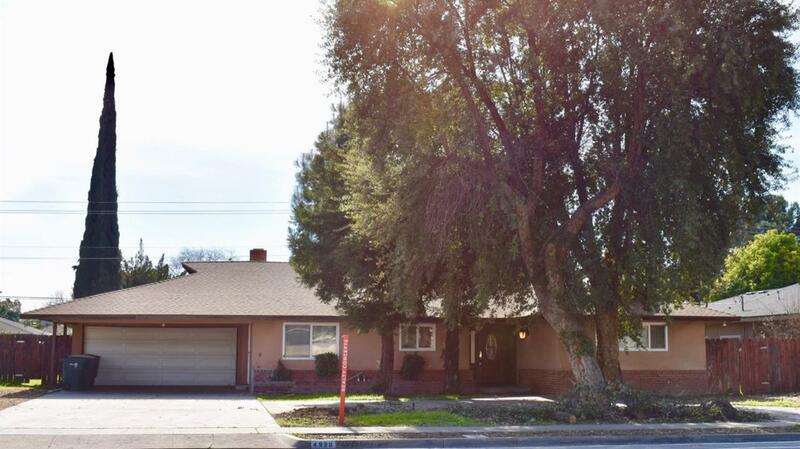 Beautiful 2 bedroom (potential for 3rd bedroom) 2.5 bath remodeled Sunnyside home is situated on almost 1/3 of an acre. Mature trees and plenty of room for RV parking and double deep garage with insulated door. You will love the fabulous Chef's kitchen which features a commercial oven, beautiful cabinets with pull-out shelves, corian counter tops and stainless steel appliances. Beautiful hardwood floors throughout. Updated bathrooms have designer tile and fixtures, guest bathroom features a jetted tub. Centrally located to Fresno Pacific University, shopping and Hwy 180. Close to schools. Best home in Sunnyside. Come see this home today! Listing provided courtesy of Christine Ruiz of Realty Concepts, Ltd.